Become your own Steve Zissou with the U-Boat Worx C-Explorer 5. 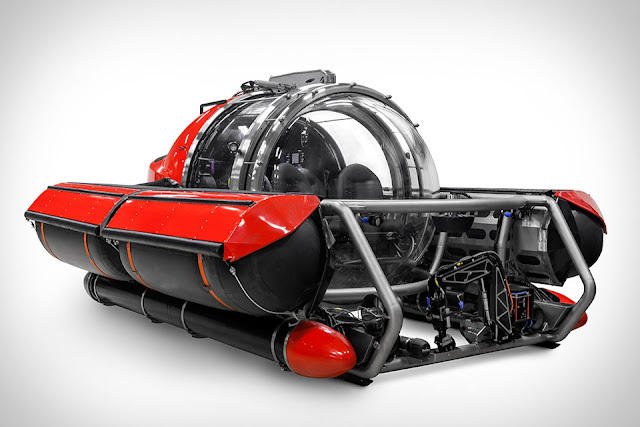 Available in both 100- and 200-meter models, the C-Explorer 5 is a five-person compact submersible that lets you explore the sea depths in dry comfort. Features include a smart deflatable ballast tank system, air-conditioning, up to 43.2 kWh of battery capacity, a 360-degree acrylic pressure hull that allows for amazing views, and a below-surface cruising speed of 3 knots. A perfect complimentary toy for your private yacht.